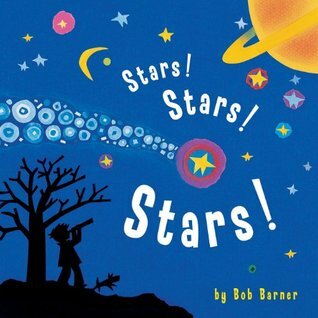 In this lively book, award-winning author-artist Bob Barner takes readers on a ride through outer space to visit distant planets and dazzling stars. The simple rhyming text and colorful torn-paper collage illustrations make this book perfect for the very youngest readers, and the Meet the Planets and Meet the Galaxy sections, both bursting with facts, will engage older readers as well. Stars! Stars! Stars! will rocket aspiring stargazers right out of this world! I’m more than a little bias towards space books geared towards kids. I’ve always loved the pure vastness and enormity of space, and if I had a kid I know I would try to pass that love on to them. Stars! Stars! Stars! is a beautifully illustrated book that briefly visits each planet and a few stars that would be excellent for young readers especially if you are just beginning to introduce them to space. The back of the book even comes with a bit of info on each planet, as well as some key terms to help them understand the universe a bit more. This one is definitely a keeper in my opinion. The only thing wrong with it is the fact that it’s a tad outdated and includes Pluto, but I don’t really think that is too much of a problem. Tiny kids don’t really see the difference in dwarf planets and normal ones anyway. 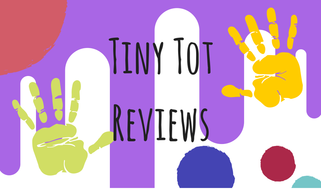 I love learning about new kid’s books because i have a lot of little ones in my life. This seems cute.